Deputy Prime Minister Alexei Gordeyev believes that the results of the current year in agrarian sector of Russia has created a good Foundation to work next year. "Created this year, industry conditions and prospects suggests that the formed a good Foundation to work next year and that there is a possibility to hold the main harvest and spring field work is at a high level", - said A. Gordeev, "Interfax". "Speaking generally, the year for farmers was good. Assembled, though not a record, but a high grain yield, food prices are good and income is good," he said, adding that most of the farms this year will remain profitable. 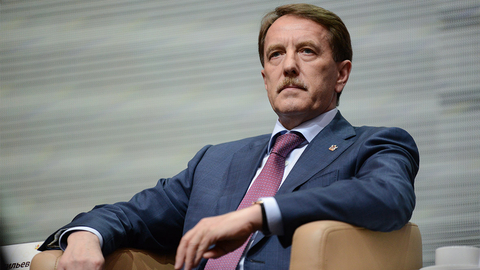 He said that state support for the industry this year was good, in 2019 it will increase to more than 50 billion rubles. "The money is there, we have to think how to use them correctly", - he said. Positive results have formed, including, and due to the growth of exports. "This is largely the result of high harvest last year, the bulk of which passed for the current year, and it all went to General revenue," - said A. Gordeev. "But to brag about the growth of exports is too early - said Deputy Prime Minister. - The idea is not to hope that there will be good weather conditions and it will be another record grain harvest, in the first place. And due to this will increase the exports". According to him, a great potential for export growth is concluded to find new sales markets, increase its competitiveness, to expand the range. We are talking about meat and dairy products, confectionery. But most importantly, he emphasized the need to move to export products with high added value. "For example, you to trade not only with grain, but the more flour that is much more profitable", he said. Alexei Gordeyev also said important event of the year the decision to develop the Federal program of development of rural territories. He believes that this document, to be adopted in mid-2019, you must give the status of national project. According to Rosstat, the grain harvest in 2018 amounted to 112.8 million tons compared to 135.5 million tons in 2017. According to the forecast of the Ministry of agriculture, in 2019 sown area of crops will amount to 80.5 million hectares, 1.3 million hectares more than this year. Spring sowing is planned 52.9 million hectares, which is by 400 thousand hectares more than in 2018. The area under spring grains and leguminous crops will increase by 700 thousand hectares, to 30.3 million ha. In particular, it is planned to increase areas under wheat, maize and buckwheat. Less than this year, it is planned to sow oilseeds - 1,241 million hectares against 1,391 million hectares this year.